Femi Adesina, Abuja: President Muhammadu Buhari felicitates with Nigerian football star, Asisat Lamina Oshoala, for winning the CAF Women’s African Football Player of the Year. President Buhari congratulates the Falcon’s team member and all football lovers for the most deserved honour, which will naturally translate into more responsibilities for exploits on the football field, and her country. 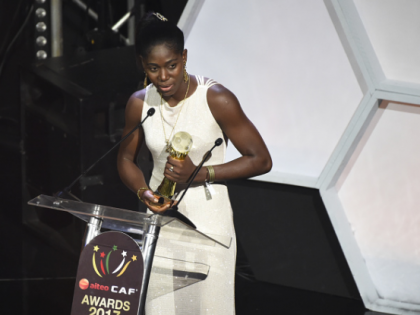 The President commends the strength, dexterity and focus Oshoala has displayed, working really hard from an early age to represent Nigeria in international tournaments before she was 20 years, and always showcasing her skills in her clubs. President Buhari believes that the footballer’s many awards and achievements, which includes winning the CAF award for the third time, at such age clearly demonstrates that she always rises to the occasion as a professional, and deserves continental recognitions.